Quote: Laugh Much & Ride OftenTake time... soul happy. 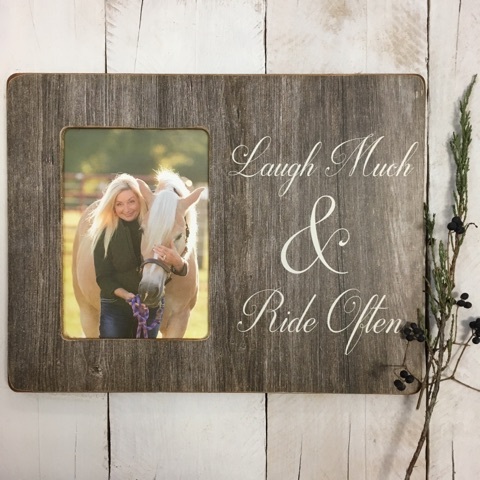 An elegant knick knack to display your most treasured photo is RAMM’S 12 days of Christmas wooden photo frame. 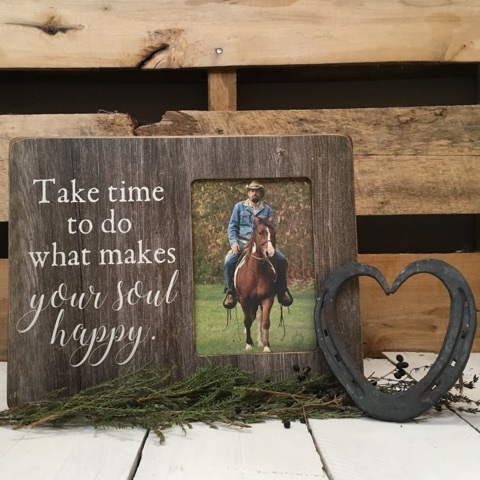 Measuring 10" x 13" in size with a glass picture area of 5" x 7" this frame features a rustic wood character, streak-resistant glass, and a specially selected inspirational quote that is sure to enhance the ambiance of any room you place it in.